This chapter grapples with the hegemony of the visual and its pervasiveness in current urban installations. It discusses how technology and the visual are fetishized instead of used in their dialogical potential to engage people in socio-spatial transformation. 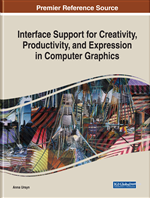 This chapter presents the trajectory of the Graphics Laboratory for Architectural Experience at Universidade Federal de Minas Gerais, Brazil (LAGEAR) in its theoretical and practical development. This chapter then discusses LAGEAR's main drives, which are the playful interaction, the distinction between interface, and interaction and dialogue, in order to create interactive interfaces that actually engage people in socio-spatial transformation. It presents examples of the authors' works, drawing from visually based to bodily engaging and socio-political installations. Discussion concerns the problematization that leads to the need of engagement rather than the bodily engagement. Emphasis was put on working with the socio-spatial context and proposing interfaces that take into account the process in its openness and indeterminacy instead of prescribing a product (even if an interface-product). This chapter discusses urban interactive installations as important means to engage people in socio-spatial transformation of cities. It proposes a critical view of their usual drive, which is highly dependent on digital technology and overemphasises the visual. Since the beginning of the century we have been witnessing a period of enthusiasm related to the emerging digital technologies, which is clearly exemplified in a group of texts by different authors (Graham, 2004) discussing the overcome of physical space by information and communication technology. In such a view, digital technologies overcome the gap between space and time, being omnipresent and granting a remote access to the world in real time. However, we cannot ignore that these technologies make also a fragment our aesthetic experience by overemphasising the visual. In this way, most interactive urban installations are strongly based on digital technology and are also spectacular (Baltazar, 2009; Baltazar, Cabral Filho, Melgaço, Almeida, & Arruda, 2012; Baltazar, Arruda, Cabral Filho, Melgaço, & Almeida, 2014). This chapter revisits two papers by the authors (Baltazar et al, 2012; Baltazar et al, 2014) and updates the discussions taking place at the Graphics Laboratory for Architectural Experience at Universidade Federal de Minas Gerais, Brazil (LAGEAR). Up to 2014, when we published “Beyond the visual in urban interactive installations: dialogue and social transformation” (Baltazar et al, 2014), the critique of the visual was systematised in two main directions in the development of interfaces, developed first from 2006 and then from 2010. First, since 2006 we have been developing interfaces to connect remote communities by spatialising information and communication. This meant that interfaces were programmed to engage people in dialogue; that is, interaction is dialogical not the interface. Even if this seemed to advance the current research on urban interactive installations, people’s engagement was not enduring. Assessing the interfaces produced, the prevalence of the visual was seen as one of the main problems. The spectacle produced when people interacted with each other by means of the interfaces would catch people’s attention for a short period, but was not enough to promote people’s bodily engagement with the city by means of the interfaces. So, in 2010 our approach started to concern the development of interfaces to enable remote physical actuation by means of physical computing, moving beyond visual towards bodily interaction. This meant that the interface could also be dialogical, not only the interaction. Dialogue was present in both early developments of urban interactive installations by LAGEAR. In the first case the interfaces are visually based but trigger dialogue between people. In the second case the interface, besides having a visually based output, is strongly based on action: the input of people in one place triggers actions of people in another place. In this case the interface works dialogically regardless of the interaction of people (which most times is also dialogical). Nevertheless, the persistent ephemerality of the interfaces was overwhelming, and there was no actual socio-spatial transformation. Even if there was a more sophisticated interaction, as people were not only interacting with each other but also with the interface, the dialogue prompted had no impact on people’s engagement with the city, even in short term. As the main assessment of this stage, the LAGEAR research group questioned the complexification of the interfaces assuming a prevalence of digital technology, and started thinking of other means to engage people in socio-spatial transformation. The main challenge, then, is to propose interfaces that avoid both visual and technological fetishisms, working towards a broader concept of dialogue, drawing from Hannah Arendt’s provocation for the resumption of the public sphere, taking into account plural interaction amongst people from different classes and social backgrounds (Arendt, 1998). Socio-Spatial Transformation: A political transformation of space having social emancipation at the horizon, acknowledging that space is a social product and that society is formed and transformed by the space it forges. Fetish of Digital Technology: The assumption that the use of digital technology is an end in itself, and in the context or urban installations, enough to accomplish socio-spatial transformation, but in fact it contributes to fragment people's experience. Logic of the Visual: The privileging of the visual over lived experiences, which ultimately leads to the commodification of space. Dialogue: Exchange of pieces of information to synthesize new information as proposed by Vilém Flusser. Playful Interaction: A form of interaction when one uses an apparatus beyond its prescriptions, engaging with content and not only with its interface. Dialectics of Spectacle and Experience: The visual is not taken as merely contemplative and experience is not taken as merely active, they work in a dialectic relation, enriching each other, avoiding a contemplative finished product and promoting a seductive and enduring interaction of people with each other and with the space. Interaction: The way people relate to each other or how people relate themselves to interfaces and objects. Interface: Digital-physical devices that enable human-machine or human-human interaction. Engagement: Active and continuous participation.